Are You Looking for a Dentist In the Massapequa or Long Island Area? If you’re looking for a new dentist or have recently moved to North Massapequa/Long Island area, finding a dental practice you can trust may feel overwhelming. But maybe it’s easier than you think. For a complete list of the services we offer, visit our services page. You can also give us a call. We’d be happy to answers any questions you might have, in addition to setting up your next exam with Dr. Dory or Khalida Stutman. When you come in for an exam at our North Massapequa office, we’ll use our expertise and our contemporary technology to thoroughly check your smile for signs of tooth decay, gum disease, bruxism, TMJ disorder, and even oral cancer. Once we have a clear idea of how your smile is doing, we’ll talk to you about your smile and make sure you have a complete understanding of your oral health. The more you know about your smile, the more confident you can feel about taking steps to keep it healthy. Get in touch with us today if you’re ready to schedule a visit with Dr. Dory or Khalida Stutman. Our office gladly serves patients from North Massapequa, Long Island, Merrick, Bellmore, and Wantagh. 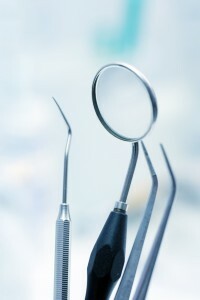 Comments Off on Are You Looking for a Dentist In the Massapequa or Long Island Area?